Not-for-profit hospitals must provide benefit to the communities they serve to maintain their tax-exempt or “charitable” status, as a requirement under section 501 (c) (3) of the Federal Internal Revenue Code. Further, in section 501(r), the final regulations provide that a hospital organization meets the requirements of section 501(r)(3) in any taxable year, with respect to a hospital facility it operates, only if the hospital facility has conducted a CHNA in such taxable year or either of the two immediately preceding taxable years, and an authorized body of the hospital facility has adopted an implementation strategy to meet the community health needs identified through the CHNA. A hospital facility must define the community it serves and assess the health needs of that community. In assessing the community’s health needs, the hospital facility must solicit and take into account input received from persons who represent the broad interests of its community. The hospital facility must also document the CHNA in a written report (CHNA report) that is adopted for the hospital facility by an authorized body of the hospital facility. Finally, the hospital facility must make the CHNA report widely available to the public. A hospital facility is considered to have conducted a CHNA on the date it has completed all of these steps, including making the CHNA report widely available to the public. Consistent with the statute and the 2013 proposed regulations, a hospital organization must provide with its Form 990 a description of how it is addressing the community health needs identified for each facility it operates, it’s audited financial statements, and the amount of the excise tax imposed on the organization under section 4959 during the taxable year. 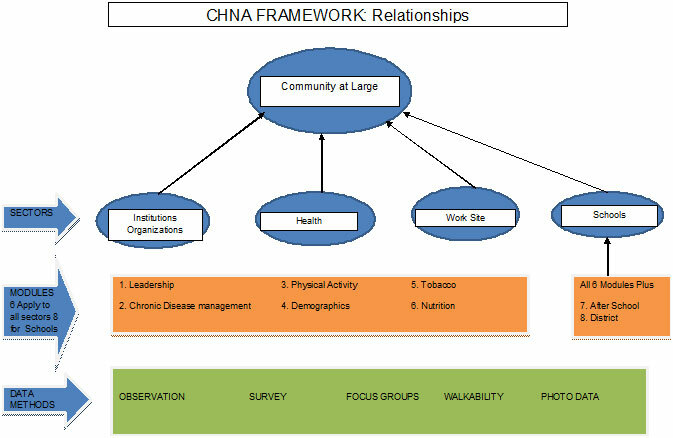 A CHNA is a systematic implementation strategy and process involving the community to identify and analyze community health needs and assets in order to prioritize these needs, and to plan and act upon significant unmet community health needs. The findings in this CHNA result from a year-long process of collecting and analyzing data and consulting with stakeholders throughout the community and the region. This CHNA can be used as a road map to guide service providers, especially public health and healthcare, in their efforts to plan programs and services targeted to improve the overall health and well-being of people and communities in our region. The community health needs assessment provision of the Affordable Care Act (Section 9007) links hospitals’ tax exempt status to the development of a needs assessment. Should the hospital not meet the requirements and timeline, a $50,000 excise tax could be imposed.This requirement applies to all 501 (c) (3) hospitals regardless of structure including critical access hospitals. This CHNA overview will address the requirements set forth by the Internal Revenue Service through the Affordable Care Act (ACA). A written assessment and implementation plan completed every three years, adopted by the Hospital Board or authority. Collaborate, actively involve, utilize,and take into account input from those persons in the community who represent the “broad interests” of the community served by the hospital as well as input from Public Health in analysis process as well as when setting priorities for the implementation planning process. Include those disenfranchised, low-income, populations. Documentation must include documentation of the impact of implementation plan strategies as well as a comparison to the previous CHNA. CHNA Report must be made “widely” available to the public, clearly posted on the hospital’s website, and paper copies obtainable to the general public at no cost. Implementation Strategy Plan should identify the needs being addressed and the reasons they were selected as well as why other needs are not being part of the Implementation Plan. The report should be tailored and take into account existing programs, resources, and priorities, and include any planned collaboration with other organizations. Ability to demonstrate to the hospital’s service area community stakeholders that their tax-exempt hospital is aware of the community health needs and is addressing them in a formal plan. CHNA Implementation Plan becomes input for the hospital’s overall strategic planning process. Coker Group uses a planning model and a four step process. Step 1: Pre-activities to confirm availability of Health Department and other organizations/community leaders to participate.The goal is to partner with the health department to achieve as much efficiency as possible in data collection, analysis, and community input. Step 2: Preparation for and conducting the initial Meeting #1. During Meeting #1, the information that was disseminated in advance will be reviewed and a discussion about any missing data or other data gaps undertaken. Coker Group would also recommend discussing “evaluation criteria” to be used in Meeting #2 (how priorities will be established) and a listing of additional information needed to be compiled, and how each organization participating in the process will make decisions about how and which priorities to address.. Step 3: Preparation for and conducting final Meeting #2. We envision that the CHNA steering committee would reconvene the group about 4 to 6 weeks after the first meeting. One week in advance of the meeting the minutes of the first meeting, and any additional data requested will be disseminated. At Meeting #2, the community needs will be evaluated, discussed, and prioritized (using the criteria established in meeting #1 and, if possible, recommendations to the Board for Hospital’s community benefit priorities will be established. Importantly, at this meeting, the group should summarize why particular identified needs are not high priorities (and therefore not likely to be addressed) and how the Plan should be disseminated/made accessible to the community. Following Meeting #2 Coker and the steering committee would draft the CHNA for final review. After revising for comments, CHNA would be finalized and presented for approval to the hospital’s leadership and Board. Coker Group, in support of the hospital’s Board, the hospital’s steering committee and community partners, including Public Health Agency, facilitates a Community Health Needs Assessment including the documentation, assessment, and development of a community implementation plan that addresses the requirements is actionable and measurable.